This is a dish my Mom used to make all the time growing up. It was one of the very first things I ever learned to make. 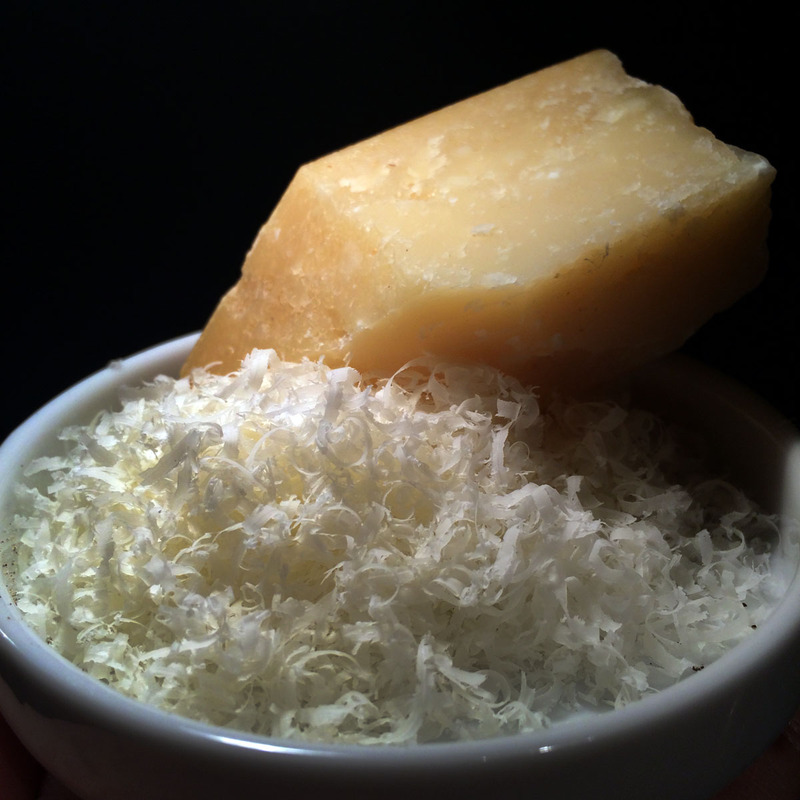 It requires only a few ingredients; Garlic, olive oil, cheese, some parsley, cracked pepper. Thats basically it. Im all about those dishes that you can pull together with things you always have in the fridge. I have some construction happening in my place and its been difficult to cook anything lately. Recipes like these are crucial for uncomplicated, quick dinners. The only thing thats necessary to this recipe is saving some of the pasta water from the pot before you strain the cooked pasta. The starch in the water helps the minimal sauce come together and stick to the pasta. Bring a large pot of water to a boil. Add pinch of salt and the pasta and cook according to the directions on the package. 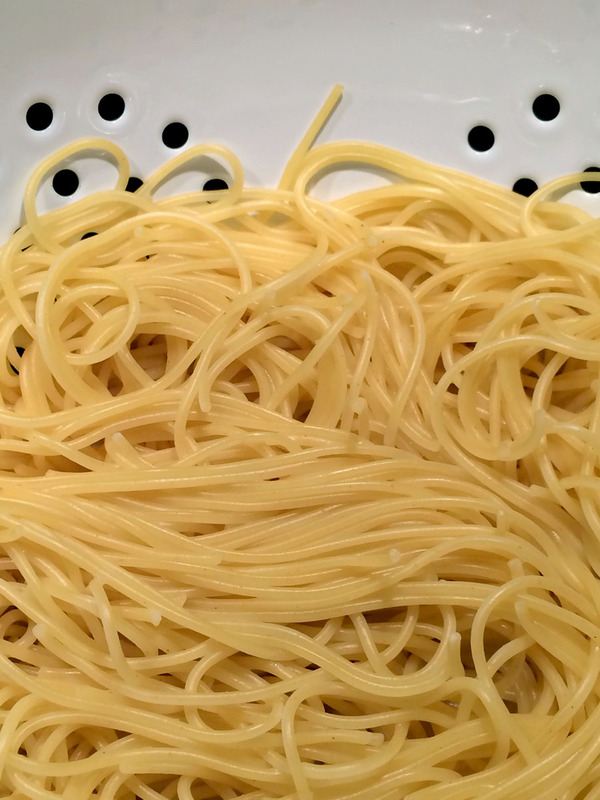 Set aside 1 cup of the pasta cooking water before you drain the pasta. Meanwhile, heat the olive oil over medium heat in a pot large enough to hold the pasta, such as a 12-inch saute pan or a large, shallow pot. Add the garlic and cook for 2 minutes, stirring frequently, until it just begins to turn golden on the edges-don’t overcook it! Add the red pepper flakes and cook for 30 seconds more. Carefully add the reserved pasta-cooking water to the garlic and oil and bring to a boil. Lower the heat, add 1 teaspoon of salt, and simmer for about 5 minutes, until the liquid is reduced by about a third.